Major League Baseball took another technological leap forward with the new deal to build a customized analytics Solution between Bloomberg Sports and the Chicago Cubs. This sportbiz partnership was formed to design a state of the art player evaluation system for the Cubs’ Baseball Operations Department. Bloomberg Sports has been delivering Solutions to MLB teams, players and fans for the past four years. The Cubs new system will combine video with extensive data on all professional players, as well as customized and enhanced technology to assist the evaluation process. The platform is being created with both laptop and mobile capability, and the two parties will begin implementation and development of the new system immediately. New incoming President of Baseball Operations Theo Epstein wants an Expert System that helps his Cubs organization become more uniform and consistent in order to end the 103 year drought since the club last won a World Series, and Bloomberg Sports is now part of that winning formula. Theo knows how to get this kind of upgrade done since his last organization, the Boston Red Sox, ended their own World Series title void of 108 years by winning the Championship in 2004 under his regime. WGN Cubs Corner at Wildfire 01/06/12 video – Theo Epstein stops by Cubs Corner at Wildfire to talk hot stove baseball: http://chicago.cubs.mlb.com/video/play.jsp?content_id=20048183&c_id=chc. Much of the evaluation data that will be used by the Cubs in the Bloomberg Sports customizable Solution is similar to what is included in their fantasy app that I wrote a blog about this past season. -Pray, luck and use Front Office 2011: https://sportstechie.net/front-office-2011/. Their fantasy baseball product, “MLB Front Office,” is the fastest growing and most in-depth tool for both the casual and the die-hard baseball fan. The professional analytic tools are now being used by 21 Major League clubs for player evaluation, and their tablet products are being used by over 200 MLB players to evaluate performance almost in real time. -Is this partnership an exclusive arrangement for Bloomberg Sports and the Cubs? -What platform is being used for the Cubs mobile device, IOS, Android, and/or Windows? -How does customizing your software by working with Theo upgrade your existing Bloomberg Sport Solution? Scott Boras talks about impact of sabermetrics at SABR 41: http://youtu.be/evjMibIYBBw. What this deal means is that the exploding trend in baseball towards increasing the use of technology is a wise evolution of the game. 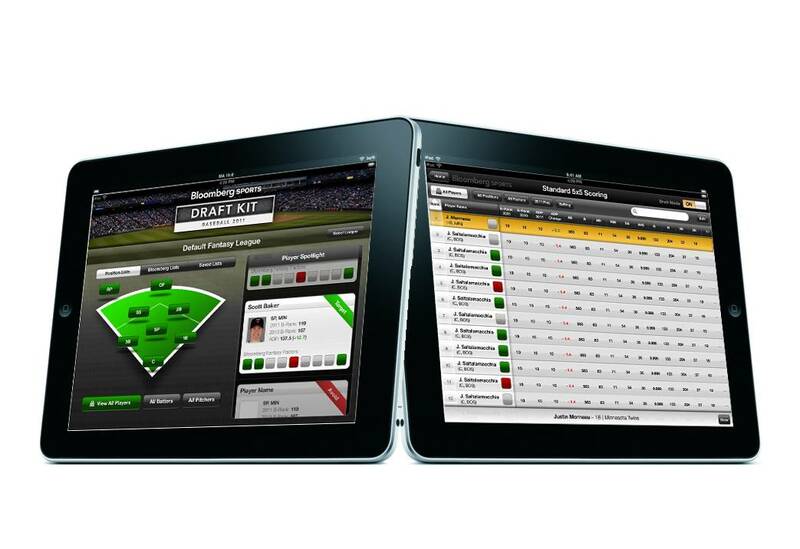 Integrating traditional baseball Systems, philosophies, definitions, and language, with advanced tech such as the iPad, super Slo-Mo video instant replay, and robust Bloomberg Sports software that analyzes all kinds of statistics, helps give clubs a deeper understanding of the game. Evaluating potential trades, scouting talent, developing draft boards, and understanding whether a potential free agents talent has peaked, are all ways in which the sports tech products that Bloomberg Sports has developed will help implement Theo’s Baseball Operational needs for the Cubs. Launched in 2010, BLOOMBERG SPORTS BASEBALL is taking the tools developed by Bloomberg, the leading global provider in data and analytics, and applying them to the vast data analysis opportunities in sports. 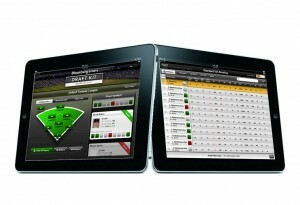 BLOOMBERG SPORTS fantasy baseball products, in conjunction with MLB.COM, provide both a “draft kit” and “in-season tools” that give fans the most powerful resources to prepare and conduct their fantasy draft and make replacements, trades and other key decisions for their fantasy teams. The season update tool provides the casual fan with the ability to explore added features and insights about all their favorite players and teams. Additionally, the BLOOMBERG SPORTS professional product provides Major League Baseball clubs with a secure, virtually unlimited set of analytical functions that can assist them in personnel evaluation and performance matchups. Their tablet product for players was launched in 2011 and provides individual players with the most advanced evaluation tools as well. For more details, please visit http://www.bloombergsports.com. Those teams that do their due diligence in regards to having advanced sports technology in place are doing the right steps needed to compete in today’s modern era. Thank you. My first 10-15 minutes of writing a blog are spent telling myself that I will finish what I start. I hope that helps.